According to recent statistics, approximately 146,000 minors are arrested for substance-related infractions in the United States every year.1 Juveniles are sometimes brought into police custody for dealing drugs, but often they are detained for driving under the influence or for being in possession of drugs at parties that the police may raid for underage drinking and suspicion of substance use. Regardless of the circumstances of their arrest, legal trouble related to drug use is usually a sign that treatment is needed. What steps to take: Positive actions that can help your child. What not to do: Negative actions that could harm your child. How to find them treatment: Treatment options that can help your child both with drug addiction and their legal situation. Remain calm: Panicking or getting angry with your child (or the police) solves nothing and can make you too emotional to handle the situation correctly. Arrange for legal counsel for your child immediately: Your child should not be talking to the police or prosecutors without legal counsel. Contact an experienced attorney who understands the juvenile court system: The adult court system is different, so having an attorney who understands those differences is important for your child’s legal defense. Be proactive and find substance abuse treatment for your child: If your child is already engaged in treatment when they go to court, the judge may be more lenient and defer jail time in favor of your child continuing treatment. Be a good example to your teen: Don’t allow them to engage in underage drinking, and don’t act as if drug use is a normal rite of passage. Do not refuse to believe that your child is guilty: Sometimes, it is hard for parents to accept that their child is guilty of a crime, but not all minors who are arrested are innocent. Do not allow the police to search your home or vehicles without a warrant: Many parents may believe that they have nothing to hide and that allowing the police to search their property will make them seem more cooperative. They believe that this cooperative attitude will somehow make the legal system be more lenient with their child. However, if a police search uncovers drugs in your home or in your car—even if you are totally unaware of them—your property could be seized and you could lose your home or car in legal proceedings. Do not ignore legal advice: It’s never good to assume you know better than your attorney or believe that you can get what you want from the judge or prosecutor through influence. After vetting a trusted and reputable attorney, always follow their counsel. Do not allow your child to be a snitch: Police may urge your child to provide incriminating information about others involved in the infraction. Keep in mind, however, that the only situation in which this may result in stricken or diminished legal charges for your child is if the prosecuting attorney enters into a written agreement with your child’s defense attorney. Do not take drugs charges lightly: You can’t assume the court system will “go light” on your child due to their younger age. Drug charges can carry long sentences (particularly for certain types of drugs) whether the offender is an adult or a juvenile. Do not let your child’s treatment proceed without your involvement: Many treatment programs require parental participation in therapy, and teens benefit more from their family’s engagement in the recovery process. Group members can encourage one another in their recovery and provide positive role models of people who have found recovery from drug abuse. Detox programs: These are short-term interventions designed to help your child physically withdraw from drugs. Not all drugs cause the physical dependence that leads to physical withdrawal, but if your child is physically dependent on alcohol or benzodiazepines, such as Xanax or Valium, it can be dangerous to stop cold turkey from these substances—doing so can lead to serious health consequences. Therefore, detox programs can help to safely manage these withdrawal symptoms in a medically supervised environment. However, detox is not drug abuse treatment in and of itself; it only lasts a few days and your child will need ongoing treatment to deal with the full scope of their addiction. Inpatient or residential programs: These programs may last a few weeks to a few months and provide your child with the necessary interventions they need to learn to abstain from using drugs. Treatment will also help your child understand more of why they started abusing drugs in the first place and figure out ways to address those reasons. Sometimes, a teen could benefit from longer-term treatment, especially if they attended treatment before and relapsed into drug use after the treatment ended. Outpatient treatment: This option allows adolescents to attend treatment a few times a week but go home at night and perhaps still go to school during the day. For some teens, outpatient treatment is a step-down program following inpatient or residential treatment that is meant to help them cope with the stressors of reintegrating in daily life after leaving a more isolated treatment program. Intensive outpatient programs (IOPs) may meet 2–3 times per week, 2–3 hours at a time. Sometimes, a child needs to go to a partial hospitalization program (PHP), which may meet as many as 7 days per week for as long as 6 hours per day. For teens, these programs are usually held after school and on weekends so that the teen can continue to go to school. Individual and family counseling: Counseling is an important component of drug treatment. 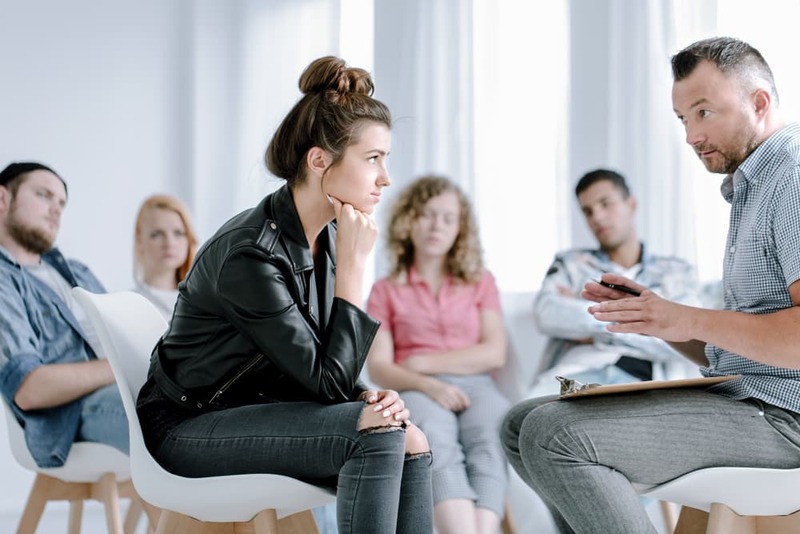 Your child’s treatment program, whether inpatient or outpatient, will incorporate counseling to help your teen learn positive ways to live without using drugs, as well as to address underlying issues (such as depression or trauma), which may trigger further drug use. Families are a vital part of adolescent drug treatment, since the family needs to learn to deal with these issues of drug abuse in the best way possible and work on any systemic issues that might contribute to the problem. Aftercare: This is a vital part of supporting long-term recovery. Aftercare can consist of a weekly group that meets for 1–2 hours and is comprised of people who have completed an inpatient or outpatient treatment program. Continued aftercare efforts allow teens to strengthen their new coping skills so they can resist using drugs in their everyday life. The path to drug abuse and addiction did not occur overnight, and the treatment to remain drug-free is not quick. Without ongoing aftercare, many teens relapse into their old habits and start using again. Other forms of aftercare can include self-help groups, such as AA, NA, Smart Recovery, or Celebrate Recovery, which all provide weekly groups for people who are in recovery from substance abuse. These group members can encourage one another in their recovery and provide positive role models of people who have found recovery from drug abuse. Office of Juvenile Justice and Delinquency Prevention. (2017). Juvenile Arrests. Willett, B. (2017). What to Do When Your Child Is Arrested for Possession. Jacob, D.L. (2012). 8 Hand-Holding Tips if Your Child Gets in Trouble with the Law.